Well … the Kawaii Animals gang had an exciting time this week. The postman brought us a package from one of our favourite suppliers … Felt So Good. Our package included several new items including a colourful little llama. At least one little llama will be staying at Kawaii Animals headquarters … they are just too cute to part with. He will be hanging in our little office brightening up our days. We also added to our unicorn collection with a new pink unicorn. We can see this little unicorn being very popular. As will our new Batty. We are sure he doesn’t bite. And, remember, a bat is not just for Halloween. Another nocturnal new addition to our range is the little Owlet. Our beautiful little owl will watch over you in the nighttime. 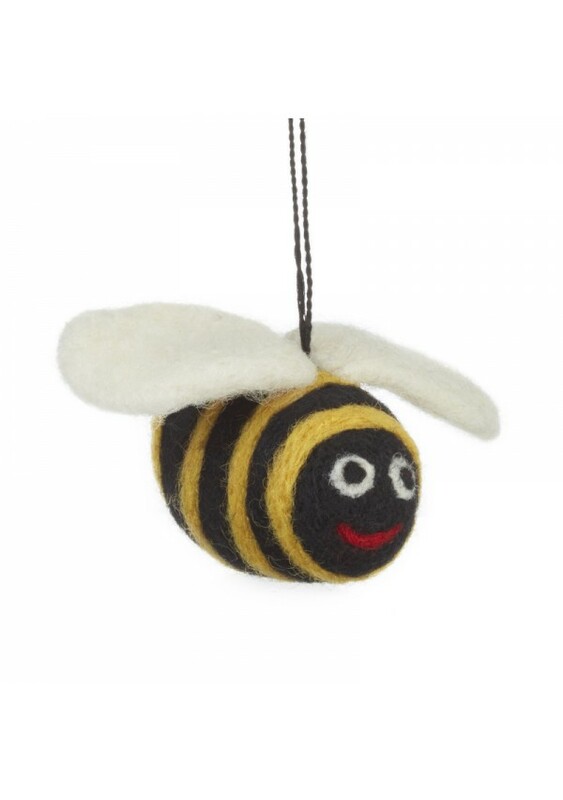 And what could be better than a smiling big bumble bee. We love this bee with its’ big wide smile. It’s important to save the bees! The last of our new items is the cute little grey donkey. He’ll look fabulous hanging from your door handle or bedpost. Click here to see our full range of felt animals.